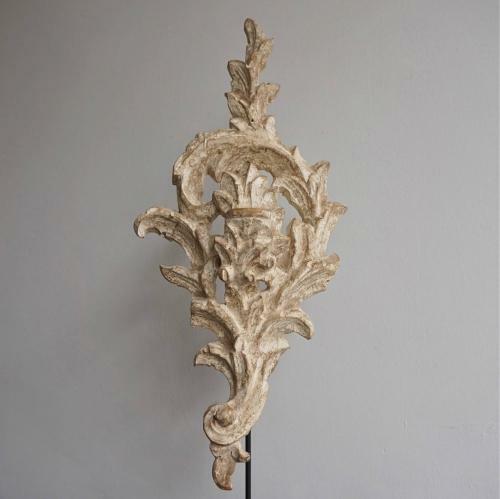 A stunning 18th century hand carved Baroque ornament retaining it's original paint and beautiful aged patina. A wonderful decorative display fragment mounted on a stand with wooden base. Italian circa 1750.